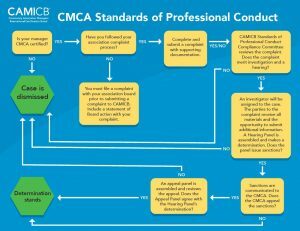 In order to maintain the credibility of the CMCA® Certification Program, the CAMICB Board of Commissioners adopted procedures that complaints concerning a CMCA. Once a complaint is deemed valid and actionable by CAMICB’s Compliance Committee, it will be brought before a Review Panel for investigation. If the Review Panel determines a violation has occurred, an appropriate sanction will be imposed. This process, including the internal investigation, hearing, and timeline of activities, is clearly detailed in the Procedures for Enforcement of the Standards of Professional Conduct. 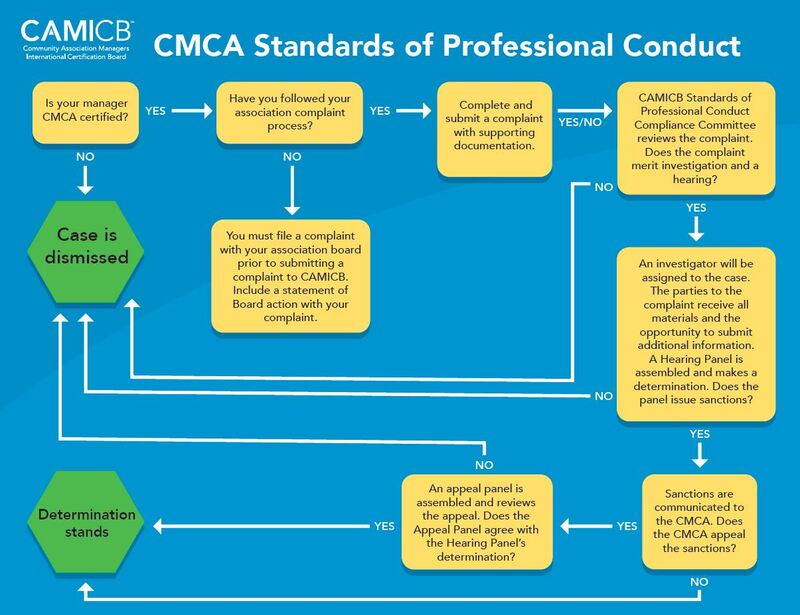 You can read CAMICB’s full white paper on the Standards of Professional Conduct and complaint process here. If you have any questions regarding any of the above, please contact one of our Community Association Attorneys. For breaking news or updates on new blog posts, follow us on Twitter at: @njcondolaw.